A Mason is dedicated. He recognizes his resposibility for justice, truth, charity, enlightenment, freedom, liberty, honesty, and integrity in all aspects of human endeavor. A mason is all this and more. A: A group (fraternity) of men who enjoy sharing the virtues of honesty, morality, integrity, and tolerance. 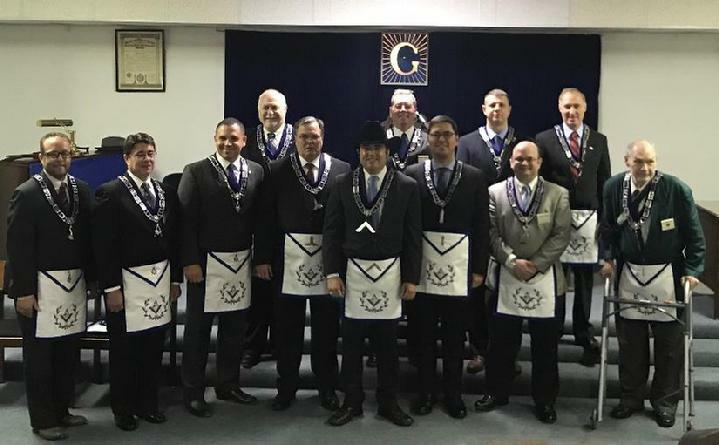 A: Masons contribute, not necessaily monetarily, but by living their lives in such a manner that the world is better just because they live in it. Q: What do you get out of masonry? A: Most men get the realization that it is not necessary to receive something tangible for every good act or deed performed. A: No. To become a mason a man must profess a belief in God; however, masonry is not a religion, a substitute for, or a rival of any doctrine. Masonry does not perform functions of a church, has no sacraments, and makes no claim to save souls or reform sinners. A: If you feel you meet the requirements you must ask a Master Mason and he in turn will be happy to guide you, and more pertinent information will be provided.